Very long time no see! So although the blog has been quiet, we've all been churning out plenty of figures. I'll post some of my backlog up for you guys to see. 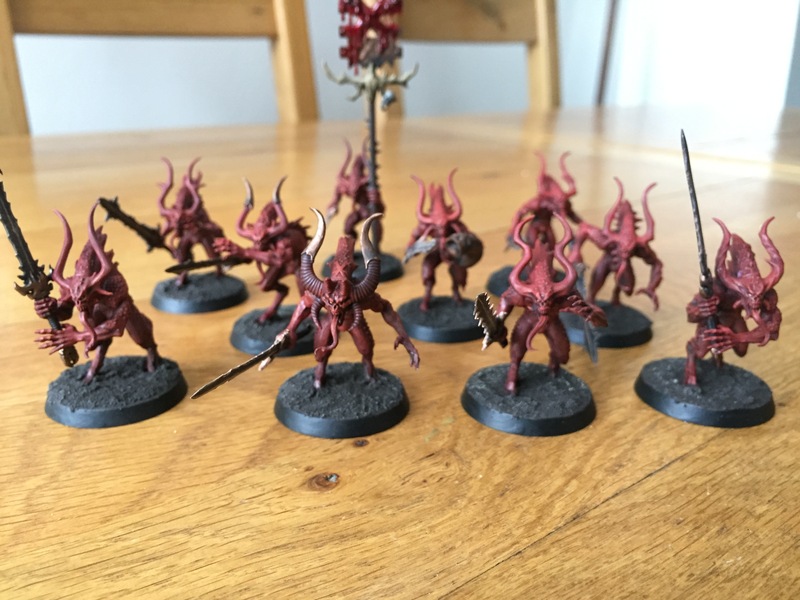 So I've randomly generated my Warband, the first unit of which is 10 Bloodletters. 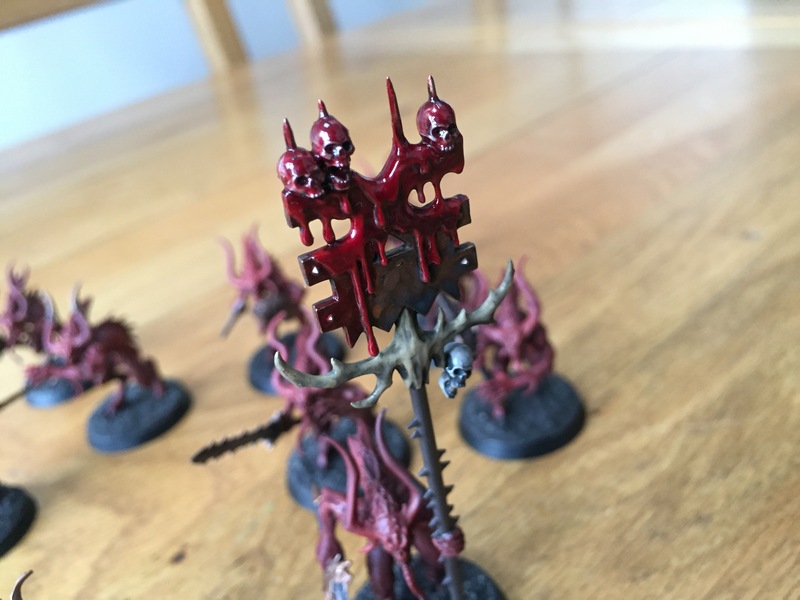 I'll be honest with you, they're not my best work however I had a really good time painting them. Not really sure why either to be honest, I just found myself really wanting to do another squad afterwards. In attempt to reignite community spirit and to reinvigorate the blog, we have decided to do afull on tale of gamers! 2. We all regularly assemble and paint a set amount of figures each month. In our case- 10 infantry/3 cavalry/1 large monster but you can do more if you like. 3. We try to play some games in between- in this case Path To Glory. 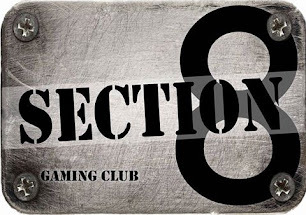 So we have five taking part, myself, JB, Abe, Dave and a new blogger (who hasn’t signed up yet). We will try to post at least monthly with pics as we go. Apologies for the lack of activity on the blog, it’s not that we’ve given up but sometimes life and toy solider get in the way of writing about toy soldiers! - New Horus Heresy stuff as eleven club members went to the the Horus Heresy Weekender in February. So without further ado, the figures above are from Artel W and they are high quality resin top notch figures, we are using them as arbiters in our campaign. The boss is Judge Anderson style and very nice indeed. I have one more to do but he’s a bit different and for another day. These are pretty pricey but a great paint. So here’s my favourite Titan, the reaver Titan, I’ve been a fan of this Titan since the tyranids came out for epic and were featured taking down a reaver Titan battle group, which really shows my age! This is Gyruum Invictus the first of my battlegroul of three titans. I magnetised the arms as I did the warlord but it was a bit more difficult. Again the colour scheme is the same colours but hopefully with enough variation in the pattern. Lots of muzzle burn on this Titan using the techniques from the Horus Heresy masterclass book by forgeworld. A bit of detailing and wearying on the feet with various chipping, dusting and sponging techniques. So here’s another Warlord Titan, colour scheme reversed a bit, so he fits in, but he is different too! I really enjoyed painting the warlords, however, the first was a little daunting and there is a lot of detail! The skeleton of the Titan was airbrushed and then the plates were airbrushed in the sprue, everything was then assembled and the lining and rivets were painted. Hello again everyone.... it’s harder than I thought keeping up regular posting on the blog so thanks to everyone else for keeping things going. However, whilst I haven’t kept up with my Heresy painting, I did go all in for titanicus! So here is my first Warlord Titan, Scion of Flame, of the Legio Atarus!